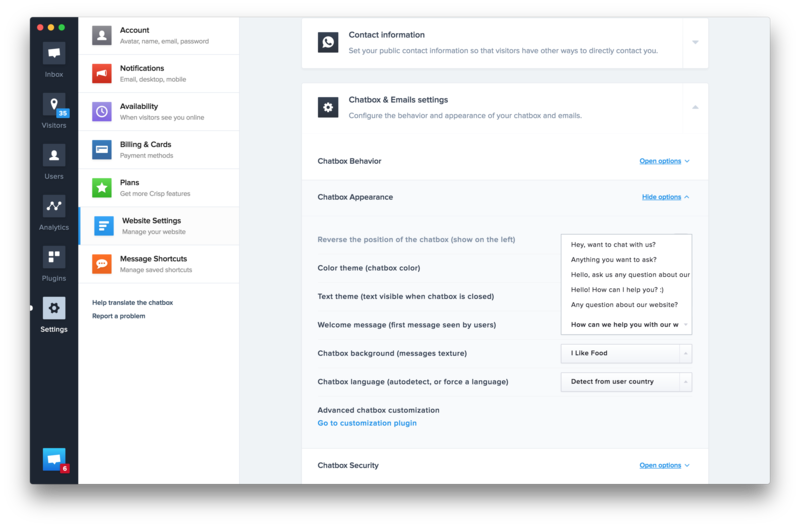 Crisp allows you to chose the welcome message your users will see when opening the chatbox. This welcome message may entice them in sending their question, which makes it very important for your customer support. Changing the welcome message of the chatbox does not affect how the Crisp chatbox works. Select your message in "Welcome Message"